SUNDAY'S audience at the Jetty Theatre matinee got more show, and a lot more drama, than was promised in the program. After the second act of the Coffs Harbour Comedy Company's production of Wicked, house lights went up and the cast were taking their bows. Suddenly the orchestra switched gears and began playing an unscripted refrain from the show. Most of the principal actors were in on the switch except for Kacie Jones-Mclean, who plays the role of Nessa, the Wicked Witch of the West's sister. Kacie had no idea the music was a distraction while her boyfriend, Michael Campos, was being hidden backstage. But when Michael popped up through the stage's trap-door Kacie, and an amused audience, quickly realised something magical was about happen in "Emerald City". "My heart was racing so fast, I was so nervous," Michael said. "I had the ring in my pocket and was sweating so much, when the backstage crew member said 'right you're up' I just focused on doing the job and blocking out the audience." 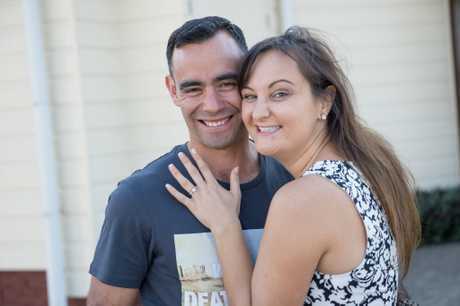 On centre stage, with a full house watching, Michael got down on one knee and proposed to his girlfriend of two-and-a-half years. 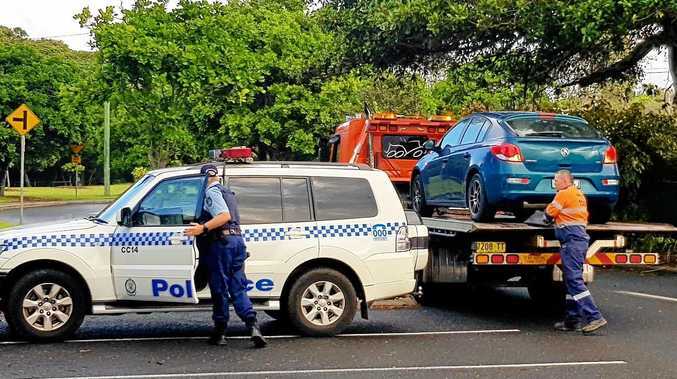 "I was in absolute, total shock, I had no idea," Kacie said. "The words were all a blur and then I saw the ring and of course I said yes." Kacie knew some of her family were in the audience but was not aware until afterwards that Michael had organised family from Sydney, Queensland and her sister from Newcastle all to be in the theatre. Michael, a baggage handler at Coffs Airport, and Kacie, who works with autistic children, first met on Tinder. "It was a great first date, I walked away thinking 'wow'," Michael said. As the relationship developed Kacie began dreaming of her wedding day. "Whenever she brought up the subject I always brushed it off, telling her the timing wasn't right," Michael said. "One time she said 'my ring size is J by the way' so I put that info in my phone as I knew I'd need it one day. I was determined to make it a surprise when I proposed." Surprise her he did, with a custom ring made in Newcastle, which was hidden at the airport until the timing was right. "She's always mucked around saying 'if you're going to propose make it big', so when she became part of this show surrounded by theatre people I thought - why not now?" 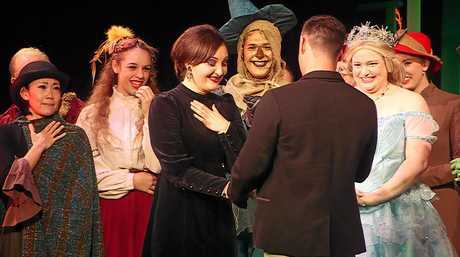 Michael had a few accomplices in "Operation Proposal", including cast member Jade Naidu, who plays the Wicked Witch, and co-director Peter Hodges. "It's nearly impossible to keep a secret in a theatre, that Kacie didn't find out beforehand was a miracle even though everyone was sworn to secrecy," Peter said. "We are lucky to have her working with us, gorgeous voice and a good dramatic actor." Kacie is enjoying her latest "role" as Michael's fiancee. "I wanted the upgrade from girlfriend to fiancee and now we're in the world of the grown-ups." Wicked will continue to play at the Jetty Memorial Theatre on Wednesday, Friday, Saturday and Sunday night.